Hello world! 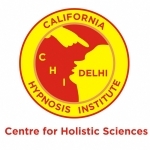 – CHI-DELHI…Be a part of QUANTUM CHANGE !! Ritu Singh is a Motivational Speaker,Trainer Hypnotherapy,Master Theta Healer,Access Bars Facilitator and Astrology Researcher.Ritu conducts sessions and classes for all age groups,Group seminars in classroom workshops on various Healing modalities.